I had mentioned in the last post of the the BBA Challenge, that I wanted to perhaps continue doing a bake-along with others, although not something as “big” again as the entire set of recipes in one book. So far, a few of the BBA members have said that they might be interested in a similar venture. So I’ve spent the last couple of days working up a bit of space on this site to work as “home base’ for such a group. I’ve arbitrarily called it Mellow Bakers as this describes a somewhat more relaxed goal for the group. In no particular order, these are some of the ideas I’ve been fiddling with in my head. I’m not particularly set on any of them and I’d even like some input from those interested so we can, as a group, come up with a workable set of guidelines and goals. To start, I think we could use another book, this time Jeffrey Hamelman’s Bread: A Baker’s Book of Techniques and Recipes. One reason to go with this is that it’s one of the more popular ones so a fair number of people would have it already or would be considering getting it. Another is that the appeal of the book is it’s slightly deeper focus on the technical aspects of bread making. It is less focussed on the book’s visual appeal – of the 400+ pages in the book, only 8 have photographs and more on the background, science and techniques of the art. And Hamelman is, from my experience, a highly regarded baker and teacher. Next, instead of going through the entire book, I’d want to specifically pick particular recipes to try out. Some because the bread seems appealing, others perhaps because they introduce a interesting technique I haven’t attempted or am not good at yet. But I also don’t want to be doing bread after bread that basically repeats what was done last time. If we look at the Vermont Sourdough on p. 153, we see that following this is also a whole wheat version and an increased whole grain version. I wouldn’t want to do all three although I think we would list all three as a choice. Having said this, I would also want to expand the recipe sources to other books or web sites at some point down the road. Hamelman’s book has 89 recipes (unless I miscounted) and I don’t really want to tackle each and every one. At least not in one go, mellow or otherwise. Schedule wise, I’m thinking about aiming for one or two recipes a month. I again don’t want this effort to overtake what I make for the house, particularly, as some of you may have picked up on, there’s only two of us so large productions of bread are not wise. Picking a couple of recipes to do over the months may be the way to go. Maybe we’d end up picking two recipes and letting people choose which they want to do that month, perhaps even both. But it still needs to be a casual or “mellow” schedule. In fact I would like to see this as a journey people can join and leave and jump back on again at their leisure. Although most people may follow the ‘schedule’ and do a particular bread in the month it’s selected, there would be no problem if someone jumped in later and did a bread from three months back and posted about it. However, the main aim, above and beyond these other points, is to continue the “community baking” aspect. And for this, I’ve set up a new forum space where everything can be centralized. Discussions, choosing breads, posting results and having a space for those who don’t have blogs to do so will make for an interesting venture. Sharing tips, comments and experiencing the baking of specific breads together, even if in different locations or even at different times, will bring a real sense of community and belonging. So I’ll now open it up to further discussion and repeat that my vision is not at all set in stone nor necessarily the best way to go. If you’re up for this new but mellow challenge – even if you want to take a few weeks off once you complete the BBA, drop on in and see what the Mellow Bakers are up to and maybe join us for a few loaves. But you can always join up now and jump in on the bakes when you feel up to it. This is, I want to point out, NOT specifically aimed ONLY at folks doing the BBA Challenge. Anyone who wants to “bake along” in order to share and learn from others making the same bread should feel free to participate. As of right now (Monday March 8th) not a whole lot is in there, just some sample posts and me rambling a bit. But don’t let that put you off, jump in and have your say and help shape what this group as it’s forming. We may have a nice small group ready to roll with the first group bake in a short while. and we’ve officially begun our first full set of breads: Light Rye, Rustic Bread and Bagels. Hop over and join the fun! Excellent plan Paul. The Mellow aspect of it really appeals to me. I felt compelled to bake every recipe in the BBA challenge and have learned a few things, like I will never make brioche again. I am certain that some breads appeal to some people/families and some don’t. I appreciate the flexibility of your challenge. I have ordered the book, should be here today. I need to feed my starter and head off to work but will check out the mellow bakers site when I get home. Thanks for putting the time and effort into doing this. .-= Anne Marie’s latest blog post: Potato, Cheddar, and Chive Torpedoes BBA bread #42 =-. .-= Oggi’s latest blog post: Triple Malt Chocolate Cupcakes =-. My only fear with this book was that there would be many repeats.. but you have addressed that. This will probably be the path I go.. unless someone starts a bread group around a Mediterranean, Middle Eastern, or European bread book. Kudos to you for getting this organized. .-= Natashya’s latest blog post: Cookbook Review: The SoNo Baking Company Cookbook =-. 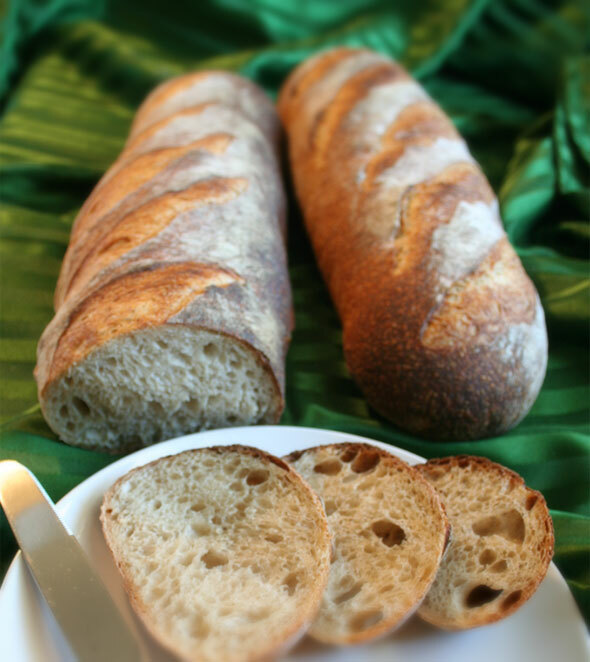 .-= Abby’s latest blog post: BBA #31: New York Deli Rye =-. I am liking this idea: We can use the Hamelman book PLUS another recipe (possibly online) so that those without the book can play along too. I also want to stress that this shouldn’t be seen as an “ex-BBA Challenge” effort. Anyone who wants to bake along is welcome join, regardless of their association with the BBAC. And if you’re still in the middle of the BBAC, that’s cool, you can still join in and participate in the discussion but do the actual breads if/when you’re up to it. And please, do spread the word, this can really only work if we have a decent count of bakers. Anyone who wants to order the Hamelman book can do so from Amazon – use the Yumarama Store up there on the right side column for US, UK and Canada purchases. 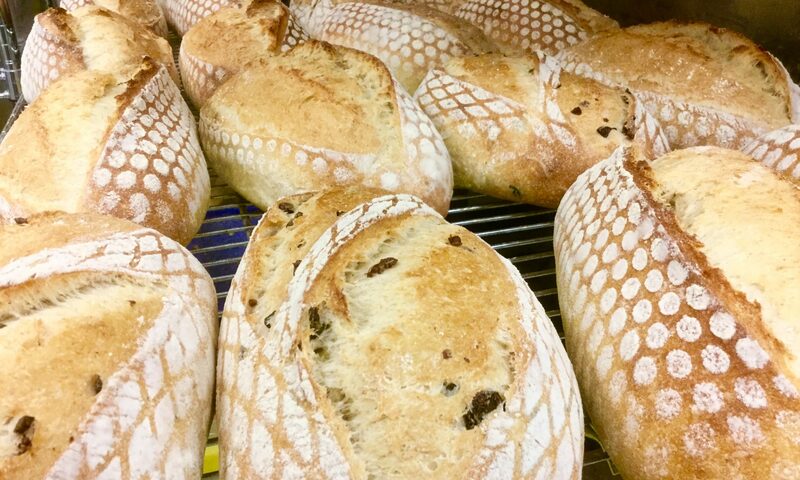 .-= Paul’s latest blog post: Mellow Bakers: group baking at an easy pace =-. Count me in. I OWN this book already, so I of course want to participate!!!!! I would love to join you – I have been skipping around on the last 10 breads, trying to make them for different social events – I was eating too much bread myself, not good, so this way I am baking for others. Mellow baking sounds like a great idea. Hop on over to the forum and sign up! We’ll be glad to have you join in. The more the merrier! I haven’t done any of the challenges to bake a whole book, ’cause there’s just too much pressure to keep up. Hey Lien, good to see you wanting to tackle the Mellow bakes. One thing you should know is although we’re taking recipes from Hamelman’s Bread, I don’t expect we’ll do all of them. I picked it because A) I have it, B) I know a LOT of people have it, C) it’s got a good amount of technical info beyond just recipes. But I truly have no plans to go through every recipe. At some point, I expect we’ll pull another really well known book (again so more people are likely to have it) and do those for a while. So you don’t need to worry about doing every recipe, unless you choose to do so yourself. But definitely, our group will be nice and relaxed, very easy going with little pressure. I’m positive you’ll like the atmosphere. So jump on in! I am now officially IN! Woot! Glad to see you “Officially” on board Sally! I’m looking forward to your rye bread post so I can “follow” you again. I’m setting up for bagels in a few minutes. Next PostNext Mellow Bakers’ first bread bake on it’s way!